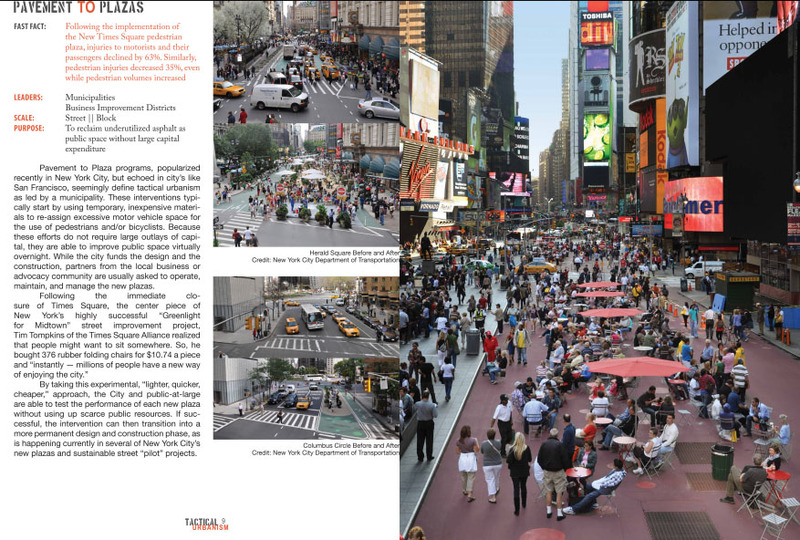 While large-scale planning schemes definitely have their role, Mike Lydon and his colleagues at the Street Plans Collaborative believe that the work of improving the livability of towns and cities starts at the scale of the street. They saw small-scale, short-term projects happening all over the country, and decided to create a resource for would-be interventionists. The Tactical Urbanism Handbook, now in its second volume, gathers examples of low-cost incremental improvements that spotlight specific problems and generate support for more substantial investments in the future. From guerrilla gardens and weed-bombing (tagging overgrown weeds with eyepopping colors) to food trucks and pop-up town halls, the Handbook documents dozens of useful and replicable tactics. Available free online, volumes one and two have each been downloaded nearly 30,000 times.